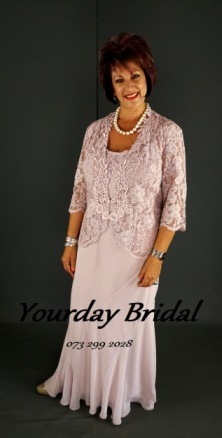 Blush pink, Olive green and Navy dress with lace jacket available at Yourday Bridal size 36, 38 & 40 for Mother of the bride or groom. Contact Yourday Bridal for your appointment at 012 653 0318. 104 Willem Botha Street, Eldoraigne, Centurion.